This post was produced by Dr Robert McKay as part of the Think About Bees project, a creative collaboration between academics from the University of Sheffield and the artists Anthony Bennett, Paul Evans, and Hondartza Fraga. Work informed by this workshop, and by the artists’ own thoughts and research, will be on display in the The Winter Garden, next to the Millennium Galleries, Sheffield from 27th March until 4th April 2016. 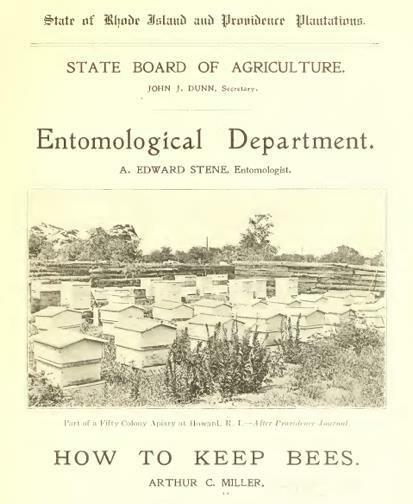 One of the most enduring melittological manuals–still available in a number of reprint editions–is How to Keep Bees, first published in 1911, by Arthur C. Miller, inspector of apiaries in the Entomological Department of the Rhode Island State Board of Agriculture. However, the subject also interested his more illustrious namesake and compatriot, the playwright of Death of a Salesman, who published a short story titled ‘The Bees’ in the Michigan Quarterly 1990. A kind of modern fable, it revisits a theme that occurs often in Miller’s work: the destruction of someone or something that is apparently valueless in order to preserve the interests of the system or of the people in the ascendancy. This someone or something often takes an animal form for Miller, an interest that was certainly inspired by Marilyn Monroe, his wife for a few years in the late 1950s. 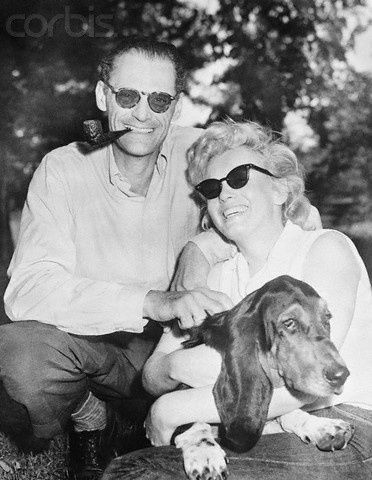 Monroe’s fierce commitment to saving animal life was the inspiration for a number of his stories, and the story ‘Please Don’t Kill Anything’. ‘The Bees’ is set in the late 1940s, ominously described as ‘the new post-war world where with a squirt you were suddenly able to kill anything that crawled’. It begins when the unnamed narrator’s child is stung by a bee; this presages his discovery that his house is infested by a colony that is nesting behind ‘a section of tongue and groove pine wall’ in the living room. This is a perfect detail of kitschy décor; it transpires that the narrator is in fact the first non-farmer to move into the area, and so is himself (seen from a demographic perspective) the first of an invasive species of suburbanites that will progressively colonise this rural scene. This is all part of Miller’s sharp irony as we encounter a simple enough domestic scene – the narrator enlists various strategies of violence to dispose of an infestation of insects; and it is at first natural enough to sympathise with him when he is protecting his child. 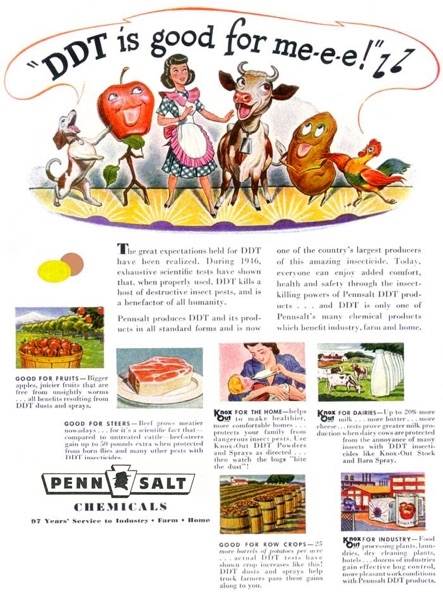 But we quickly see the simple act of defence turning into a darker and more obsessive assault as multiple cans of toxic DDT spray fail to destroy the bees. It seems that for Miller, a veteran of the inquisitorial politics of America’s communist witch hunts in the 1950s, the violent policing of perceived threats to domestic order is no simple matter. Our distaste for modes of life that make life difficult and our will to improve or perfect our world appear in seemingly innocuous ways, but they harbour something more sinister: the always potentially destructive spreading of ‘our’ values. Miller’s narrator notices this truth after several vain attempts to block the bees access to the nest: ‘by the nature of our contest I saw that the candid violence of their determination was something I could never equal and that if I were to continue living here I would have to use deceptions and subterfuges and it was all getting slightly ignoble’. Nevertheless, he doesn’t let this get in the way of pursuing his project against the bees for the time being – part of the power of the story, indeed, is that it quietly diagnoses the way that critical responses to the destruction of animals and of natural or social environments rest so easily at sentimental or hand-wringing concern without motivating us to do anything that would impact badly on us. Eventually, the narrator destroys the bees by poisoning them with sulphur dioxide burned from a candle. But Miller ends the story with several ironic pirouettes, quietly reminding us that both the resilience of the world’s otherness, and our power coupled with our insatiable desire to find ways to win out over that otherness, know no bounds. 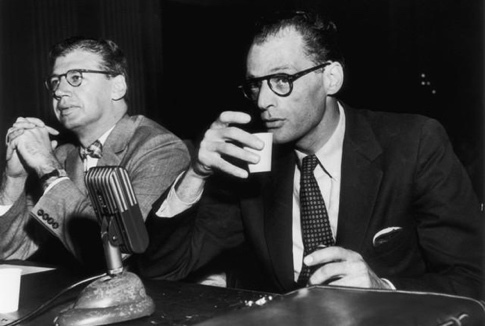 Before long the narrator enacts a solution most proper to the post-war suburban male: he divorces his wife (who presumably takes care of bee-stings from now on anyway) and buys another house. But of course, just as he moves on to make his new nest, new bees appear to accommodate the house for the new owner: ‘if he wanted my advice he would be better selling the house. Whether he should divorce his wife too was something I couldn’t advise him about but the house, I thought, definitely had to go because it belonged, quite obviously, to the bees’.